After much speculation, Cycling Weekly can today reveal what it believes to be full details of Team Wiggins, the new UCI-ranked British squad formed by Sky and Bradley Wiggins. With a reported annual budget of £460,000, Team Wiggins are operating with finances relatively comparable to that of JLT-Condor (formerly Rapha Condor-JLT) and Madison-Genesis, two of Britain’s other UCI Continental-ranked teams. CW understands that the team’s management will comprise of Robert Dodds (president of XIX Entertainment, the artist management company that represents Wiggins), rider agent and director of Trinity Sports Management Andrew McQuaid, and Wiggins himself. As reported earlier today, former Wiggle-Honda DS Simon Cope will be Team Wiggins’s inaugural sports director. Team Wiggins will have eight full-time riders to begin the year, and should be able to call upon the 2012 Tour de France winner from June, when the UCI rules permit him to join from Team Sky. As confirmed by Shane Sutton to CW last week, riders from British Cycling’s Olympic Academy Programme endurance squad will be selected to ride for Team Wiggins if they are in good form. Steven Burke (26) – 2012 Olympic and World team pursuit champion who finished third in the individual pursuit (won by Wiggins) at Beijing 2008 Games. Mark Christian (24) – Manxman who rejoined the GB track setup this summer having previously graduated from BC’s Olympic Academy programme. Jon Dibben (20) – Podium finisher in the 2012 junior Paris-Roubaix, Dibben has progressed through the BC ranks and could ride the Omnium in Rio. 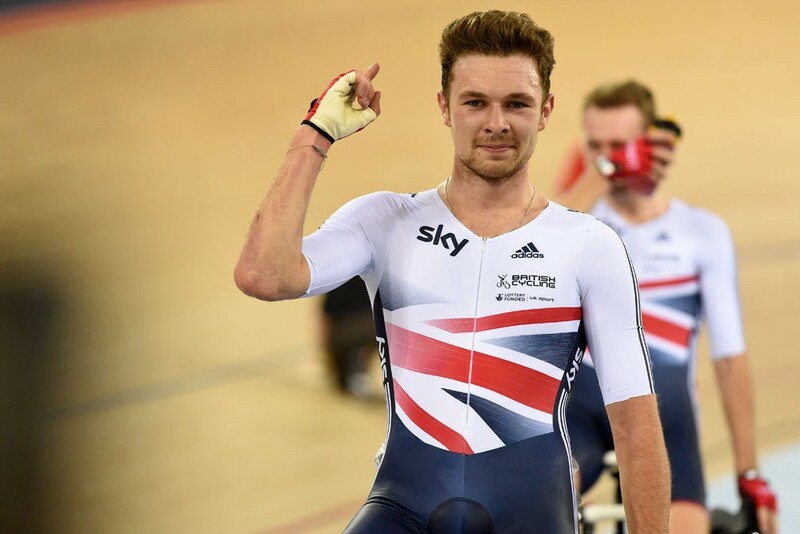 Owain Doull (21) – Highly-rated Welsh talent who had an offer to join Europcar in 2015. Won the madison at the recent London Track World Cup alongside Christian. Daniel Patten (28) – Essex born and former Dave Rayner-funded rider. Raced in 2014 with Team 7 Eleven in the Philippines and Cycletherapy in the USA. Iain Paton (19) – Currently part of British Cycling’s Olympic Mountain Bike Academy programme. Scottish XC and Cyclo-cross Champion. Andy Tennant (27) – Like Wiggins, a former junior pursuit world champion. Impressed in the team pursuit during this year’s Commonwealth Games in Glasgow. Michael Thompson (19) – Finished second in this year’s British under-23 MTB Championship, and is part of British Cycling’s Olympic Academy programme. Given that Rapha and Pinarello are – as per Team Sky – believed to be involved, expect to see their logos adorn the 2015 Team Wiggins jersey. The colour scheme may not be to everybody’s taste, however (a) at least it’s not another, completely dark jersey and (b) the Wiggins font, golden “G” and sleeves are a nice touch. With the power of the Wiggins name – not to mention what one source close to the team has told us – we expect that the squad will race abroad in 2015. However, the bulk of their programme will be the British Cycling Elite Road and Circuit Race Series, Tour Series and UCI-ranked events such as the Rutland-Melton CiCLE Classic, Velothon Wales, Beaumont Trophy and the Tour of Britain. Wiggins won the Beaumont in 2009 (and 2011, when it incorporated the British Road Race Championships) as well as the latter in 2013.